AUSTIN, TX--(Marketwired - Oct 13, 2015) - According to cosmetic dentist Dr. Mark Sweeney, keeping up-to-date with modern dental technology is an integral component of his practice's success. Recent key innovations include the CEREC® dentistry in-office milling system for same-day restorations and Waterlase® MD laser dentistry, which can eliminate the need for drills and needles while preparing a tooth for a filling or recontouring the gums. 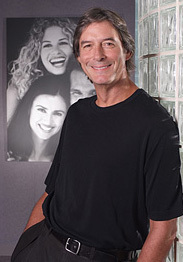 Now, with the invention of minimal and non-prep porcelain veneers, Dr. Sweeney's patients at Austin Dental Spa can rejuvenate the appearance of their smile with virtually no alteration to the natural tooth structure. Porcelain veneers can safely and effectively cover chips, cracks, stains, and even minor tooth misalignment for a new smile in just about three weeks. With such a wide range of cosmetic benefits and a relatively short treatment period, many of Dr. Sweeney's patients inquire if they are candidates for porcelain veneers. Sometimes referred to as "instant orthodontics," this cosmetic dentistry technique is ideal for patients who want to improve the appearance of their teeth quickly. "Patients who opt for porcelain veneers do not need to wait a year or more for traditional braces to correct the position of their teeth," notes Dr. Sweeney. "The relative speed of this treatment makes porcelain veneers popular for patients who have an important upcoming event, such as a wedding, reunion, or vacation."